-hemmend. 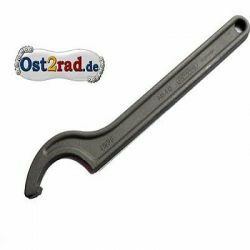 Empfohlenes Zubehör: Krümmer, Krümmermutter, Verbindungsschelle, hintere Tragschelle für alle TS250-Typen. 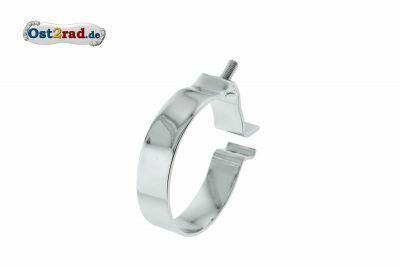 Diese Teile sind alle in diesem Shop erhältlich! Wir gewähren auch Garantie auf die Chromqualität! 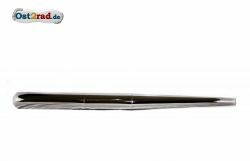 Komplettes Set Auspuffschellen, passend für MZ Typen ES175/2, ES250/2, ETS250, TS250, TS250/1, ETZ250, ETZ251 und ETZ301. Geliefert wird hier im Satz eine vordere Schelle zwischen Auspuff und Krümmer, die 2-teilge hintere Schelle sowie die dazugehörigen Schrauben, Scheiben und Muttern. Neues Set Auspuff passend für MZ Typen TS 250 und TS 250/1. Es handelt sich um die offene Version, nicht gedrosselt (wie oft Exportmaschinen). 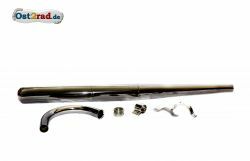 Alle Teile sind Made in EU (kein Fern-Ost Import) mit guter Verchromung im Mehrschichtverfahren. Sehr gutes Preis - Leistungsverhätnis, hier im Satz zum Sonderpreis! Der Auspuffsatz besteht aus: Krümmermutter, Krümmer, Auspuff, vorderer und hinterer Halteschelle. Der passende Schraubensatz in Edelstahl hat die Bestellnummer 704 oder 2636 verzinkt. Connecting clamp between exhaust pipe and manifold, nickel-plated. For all TS and ETZ with 250 or 300 ccm. Very good quality. Connecting clamp between silencer and exhaust pipe, nickel-plates. For all MZ TS and ETZ with 250 or 300 cubic centimetres. Strong quality. 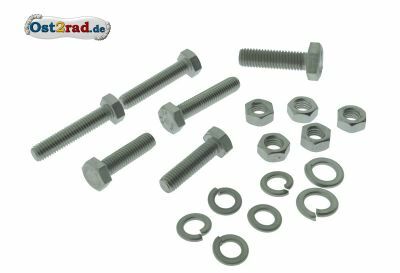 16-part set of screws for all exhaust pipes of all TS and ETZ types. The set consists of 6 screws, 5 nuts, 4 spring rings and 1 washer. 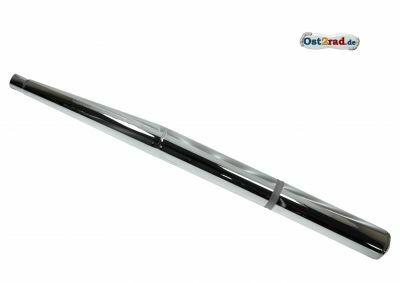 all parts are made of high-grade steel and are therefore rust free. Matches perfectly to the clamps offered in the shop. 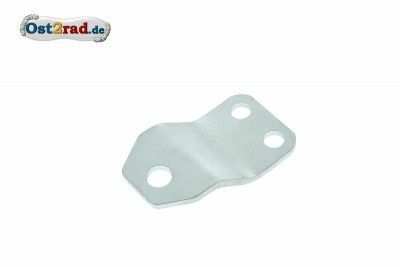 New reinforcing plate for the connection clamp, suitable for all MZ TS 250/0, TS250/1, ETZ250 und ETZ251. 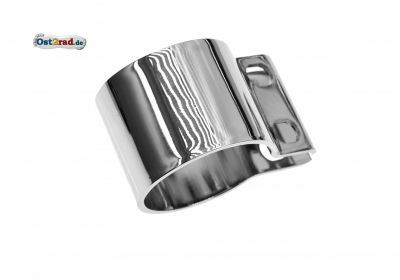 Rear exhaust hold clip one-piece, fully chromium-plated, with thread piece. Clip corresponds exactly to the original of the called models, by original attachment. For exhaust with about 90 mm of diameter. 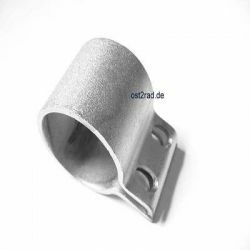 Right and left weight-bearing clip for all exhaust of the models ETZ250 and 251 with original exhaust fixture. Outside part bright lustre-chromium-plated, inside part galvanised. Delivery in pairs. New ring and distance shell for the brace in the exhaust suitably with all MZ ES, ETZ and TS with exhaust brace. Neue Scheibe für die Auspuffhalterung passend für MZ ETZ 125, 150, 250, 251 und 301. 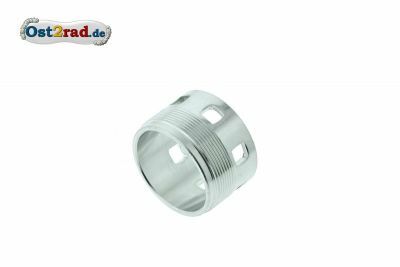 Neues Set Schrauben in der Tafel 9 - Auspuffanlage speziell für TS250/0 und TS250/1 bestehend aus 6x Schraube, 7x Federring und 5x Mutter, Edelstahl. New exhaust for MZ of the model TS250 and TS250 / 1. It concerns not the genuine part, but around a copy. We guarantee the best processing! The pot is suitable ca. 116 cm long and therefore also for sidecar operation. For the production elbow connection of ca. 40 mm. The exhaust is not divided, one-piece implementation. How the Originqal just construction form (not bent like the ETZ models). The end piece resembles in the appearance the ETZ exhaust. Material: Stable metal sheet from steel, bright lustre-chromium-plated, the best optics, faithful sound. This exhaust is in the power behaviour immediately to the original, not power-rising or power-restraining. 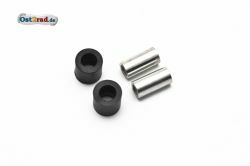 Recommended accessories: exhaust pipe, coupling nut, clip for silencer, rear clip for all TS250 models. These parts are available everybody in this shop! Inside measure amounts to about 40 mm, to elbows for MZ TS250, TS 250/1. The elbow is bright lustre-chromium-plated outside, matt-chromium-plated inside. All elbows are new. 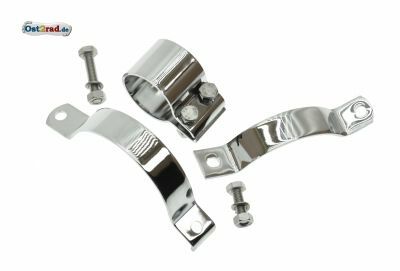 The quality is monitored by us, the chromium plating is exemplary therefore, the material strength is same or bigger as the genuine part. All models are unthrottled and bring guaranteed full power. 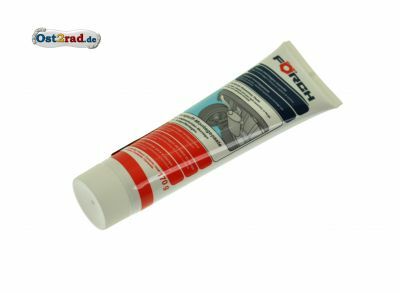 In our shop you find elbow for all models of MZ with this elbow no seal is necessary if the right elbow nut (order number 78) is right, this corresponds to the original construction method. Of course the whole exhaust accessories are also available in this shop. 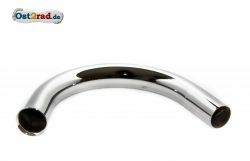 We also grant guarantee on the chrome quality! New hold metal sheet suitably for all MZ ETZ250. This metal sheet serves as a connection between exhaust (front hold clamp) and engine block.